Throughout the years that Howard Yegendorf & Associates has been in Toronto, we have had many personal injury case referrals in Toronto, the fourth largest city in North America. The success of our firm is allowing us to expand into this diverse community in Toronto, having already taken some large cases in this global center for business. We are also regularly present in Toronto for our professional development activities including conferences, board meetings, and meetings with medical experts. Although our head office remains in Toronto, our personal injury lawyers can come to meet you in the vibrant city of Toronto, located on the north shore of Lake Ontario. Our law firm can help in cases involving catastrophic injuries, including brain injuries and spinal cord injuries. 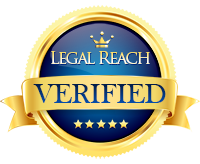 We also deal with wrongful death cases. Our lawyers at Howard Yegendorf & Associates have tremendous resources available to provide valuable legal services. We work on a contingency fee basis, which means we only get paid if there is recovery of damages for you. As such, we treat each client like they are our only client, and put 100% of our effort into pursuing the lawsuit on our clients’ behalf. Our lawyers will only take cases with merit. The personal injury lawyers At Howard Yegendorf & Associates are available to serve you in Toronto. Contact our firm for your free consultation at 1-866-303-5118.